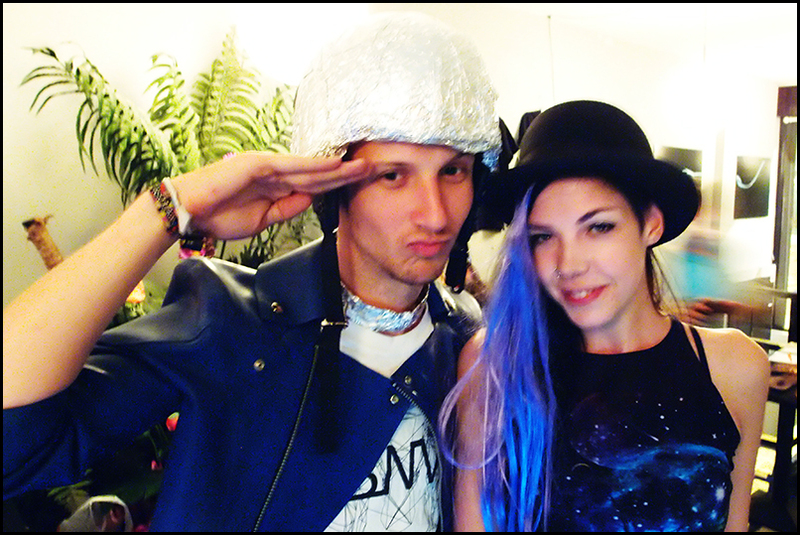 My friend Mel put on a space-themed night at Power Lunches with some other students from her MA course. I helped out by designing the flyer, helping with decorating, and djing in the bar. I had a really good time, but I really don’t have anything nice to say about the behaviour of the three other St Martin’s students. The night was really popular though, the place was packed, and everyone seemed to have a good time, which was the important thing. 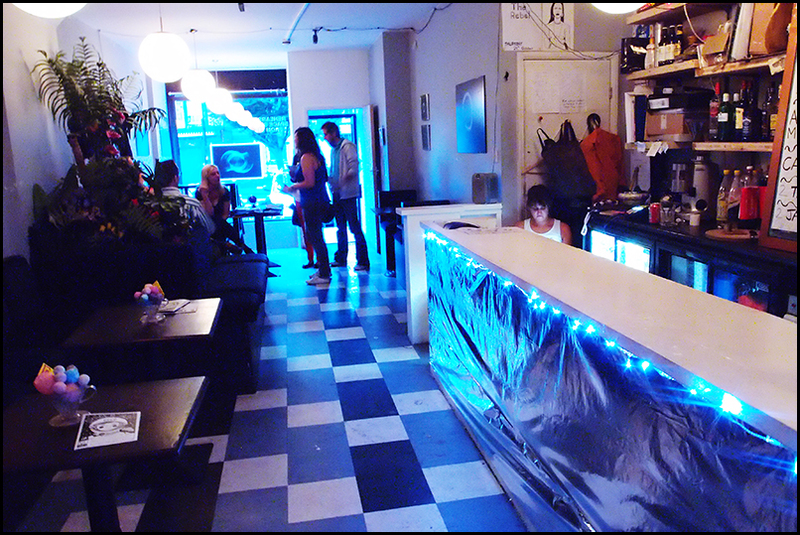 The bar and downstairs room got a new look courtesy of a lot of tinfoil. 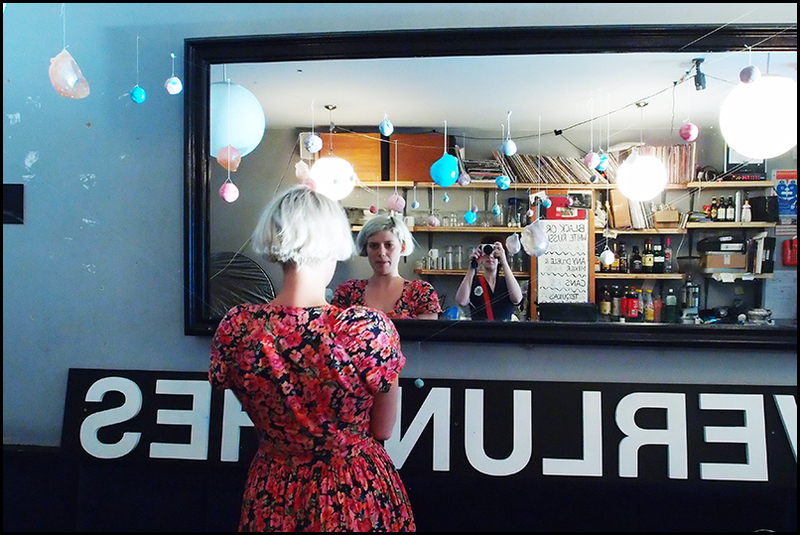 Lovely Ffion putting up her sugar planets. 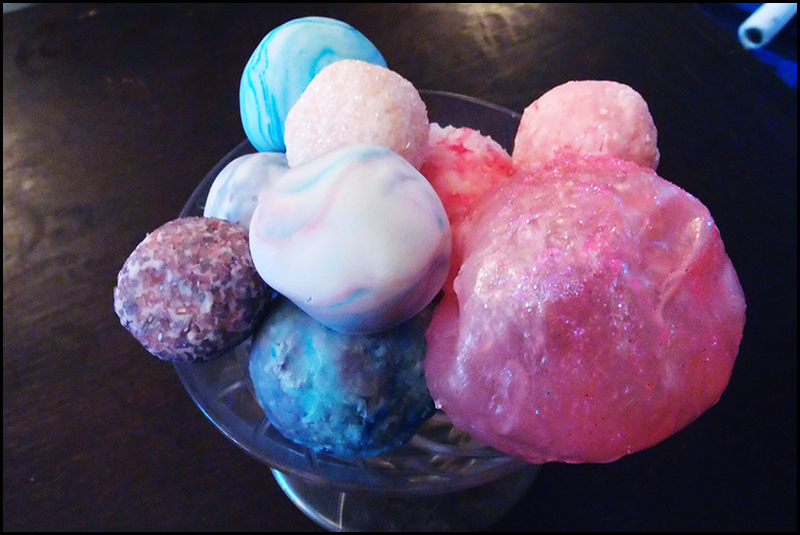 The spare sugar planets became table decorations. 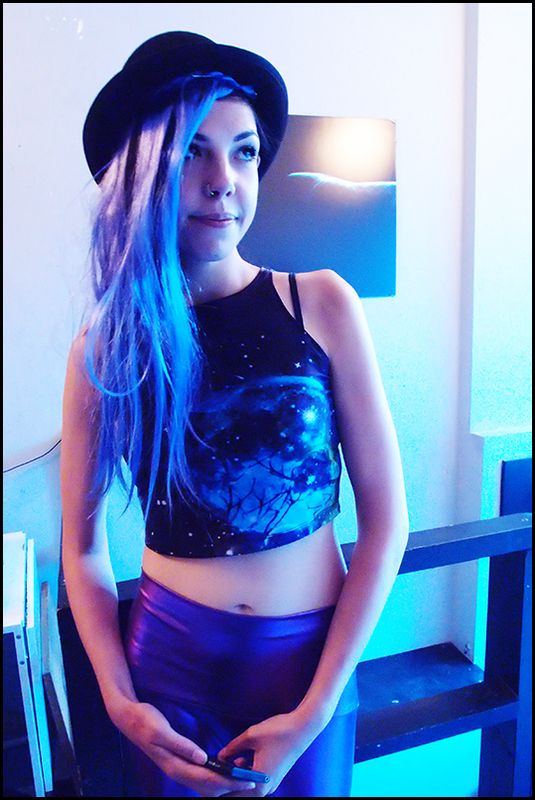 Mel’s new space waitress look. It’s nice when guests observe the dresscode properly. Sam and his friend stepped in when one of the acts dropped out at the last minute. 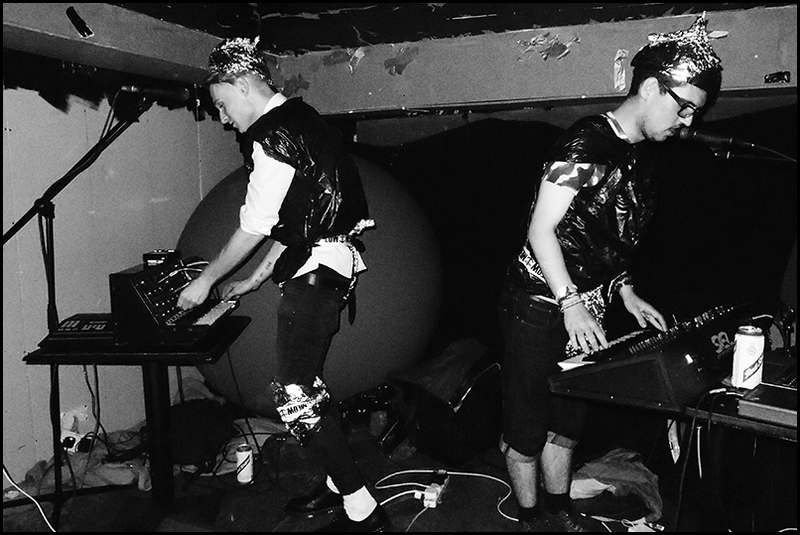 They brought some analogue synths along, and dressed up in binbags and tinfoil and improvised some space themed songs. My brief for the music was “low key” and “space”. 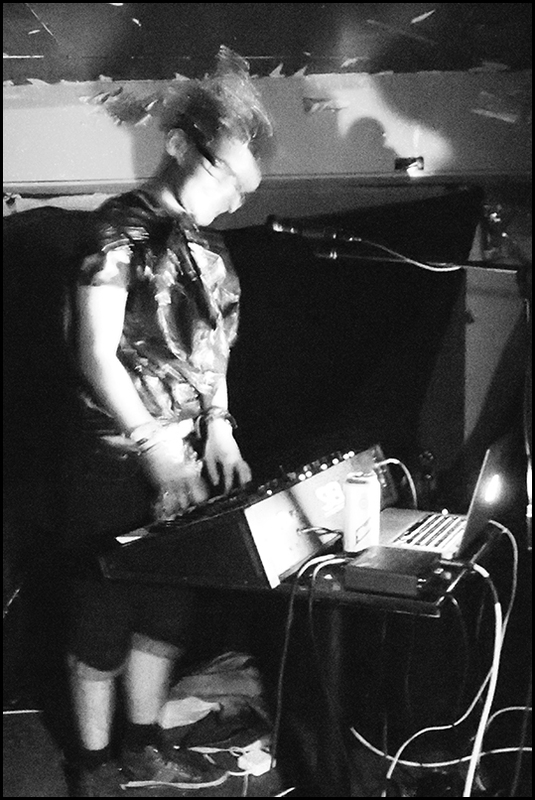 I played a lot of Stereolab, Kraftwerk, Tortoise, Boards of Canada, Fennesz, Ms John Soda and Toro Y Moi. I was only supposed to do it for 1-2 hours, but ended up doing 6. That took a bit of ingenuity, especially since I had to alternate one track vinyl, one track cd, with no cuing because of the available equipment. Anyway I don’t think I’ve ever got to play Tortoise in a bar before and actually made people happy! Here’s a Spotify playlist of some things I played. There are supposed to be 10 tracks on it, but apparently you get different numbers of tracks appear depending on what country you’re in/licencing issues.